Come join Aaron Brando and Robyn Coady in a dance workshop for couples looking to expand their physical dynamic with each other. So often in a long-term relationship, or even a relationship that is fresh, we can fall into patterns, and habits that inhibit our natural impulses and curiosity. This class is designed to awaken those impulses and offer a space and time to play and explore in new ways with your partner. We will draw from techniques in basic movement principles, somatic awareness practices, and improvisational techniques. No prior experience is necessary!!! The material is designed to be accessible, so that anyone can learn and apply to their own body. • You’ll develop new physical skills and vocabulary in relationship to others. • You’ll learn how to identify your limitations and move beyond them. • You’ll learn how to recognize and respond more readily to non-verbal communication. 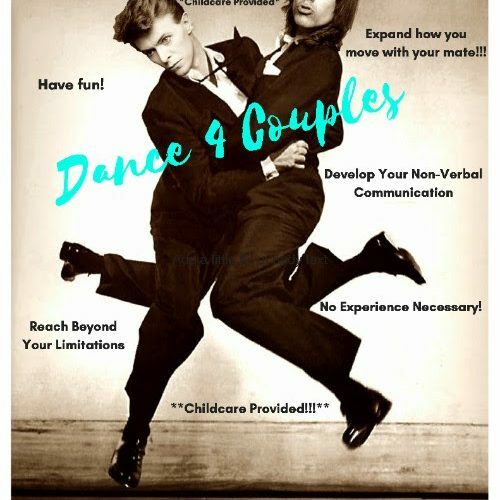 This class will give you opportunity to develop new skills in relationship that focus on connecting non-verbally and instead, use the body to communicate. No prior experience as a dancer or performer is necessary!!! Come with a willingness to engage and experience something new! 1st Class is open, then we will close the group. $40 per couple, + $10 if you need childcare. Childcare Details: We will provide pizza, and games in an adjacent studio. ***Please notify us ahead of time if you are planning to bring children and arrive at least 20 min early to drop off and situate your child(ren). We will start promptly @ 6:00. AARON BRANDO holds a Masters Degree in Education and loves the art of crafting pedagogy in a non-codified system such as Contact Improvisation. Brando teaches CI in the U.S. and internationally. He currently tours with Set/GO!, a dance company focusing on spontaneous choreographies within CI. Brando trained with Tom Myers at the KMI Institute and is a Structural Integration practitioner. He served a two-year residence at the Kripalu Center for Yoga, is a certified Yoga teacher and has a 20+ year history with Vipassana Meditation. © 2017 Northampton Arts Inc.